The biggest, sickest, most debauched party of the summer is just days away! That’s right, Slave Pit Inc and your Lords and Masters GWAR are counting down the hours until the 4th Annual GWAR-B-Q. The mighty GWAR will once again be headlining the event, and they will of course feature songs from their new album Battle Maximus. The event will be held Sat., Aug. 17 at Hadad‘s Water Park in Richmond, VA. The event will be held RAIN OR SHINE. Nothing short of nuclear holocaust can stop GWAR, and even that is highly debatable… the GWAR B-Q is on, NO MATTER WHAT!!! As a special treat for the human scum, Oderus Urungus has decided to give the bohabs another taste of what they can expect from Battle Maximus. GWAR has teamed up with VICE to drop the next tasty morsel from Battle Maximus on your pointy little heads. Head HERE, to read an exclusive interview with Oderus and to hear the premiere of the song “Bloodbath”. Then get ready to be a part of the carnage this Saturday at the GWAR-B-Q. And for those of you that don’t read press releases or pay attention, do it NOW. All details that you need about tickets for the event can be found below. As far as tickets are concerned please pay close attention — everybody who bought an e-ticket online must have a hard copy of EACH TICKET for entry — that means following all the links provided in the email that was sent to you and printing a hardcopy of every ticket. That means if you bought more than one ticket, you must have copies for every individual ticket purchased, so be sure to follow every link and print everything you can. YOU MUST HAVE HARD COPIES OF EVERY INDIVIDUAL TICKET IN ORDER TO GAIN ADMITTANCE. Klar? Klar! That’s “clear” for us Americans. Deluxe ticket sales have ended, but official GWAR-B-Q 2013 t-shirts will be available for purchase at the event. There will also be raffle tickets available at the merch booth with your chance to win any number of a host of valuable prizes. (See Below) There will be no weapons, pets, video cameras or glass allowed anywhere within Hadads, and backpacks and coolers will be checked by Hadad’s security at the gate. Remember GWAR fans, we are guests at Hadads, and if we want to continue this fine tradition we must respects the perfectly reasonable requests of our host…plus GWAR commands it! No effort has been spared to make this the most spectacular GWAR B-Q yet, and this year that includes providing the faithful GWAR fans with a skate park truly worthy of a GWAR B-Q. A legion of slaves has been laboring ceaselessly to create it, and their efforts are a complete GO, featuring a half-pipe, ¼ pipes, a fun box (whatever the hell that is), grind rails, and finally a bike launch ramp, supplied by FBM Bike Co. These are all open to the public so bring your skate, bike, or rocket-sled. Of course the memory of GWAR’s departed Scumdog brother, Flattus Maximus, will always be with us, and many flagons of GWAR BEER (brewed especially for the GWAR B-Q by Tampa‘s Cigar City Brewery) will be hoisted to honor his legend. There will be a special “Flattus Shrine” booth set up full of Smoot shirts and music, and all proceeds garnered here will go straight to the Smoot Family Fund. Bus shuttles will be available for FREE from 2BNB, for pickup locations and schedules check out all the details HERE. Finally car-pooling is highly encouraged as there is very limited parking at the venue. This does not mean for you to drive your car into the pool, it means you can get a free ride if you are too wasted. The safety of our fans and other humans is of the highest priority for the Slave-Pit, so your soul can be saved for GWAR to do with as they please. Rain or shine, its all systems GO for this years most debauched gathering of the summer and the greatest GWAR-B-Q in history. See all of you faithful bohabs there at Hadad’s, Aug. 17, 2013! HAIL FLATTUS, HAIL THE BOHABS…AND HAIL GWAR!!! GWAR is set to release Battle Maximus their 13th studio album, and their first since legendary Scumdog Flattus Maximus returned to the stars to fulfill his cosmic destiny. The album will be available September 17 via Metal Blade Records. 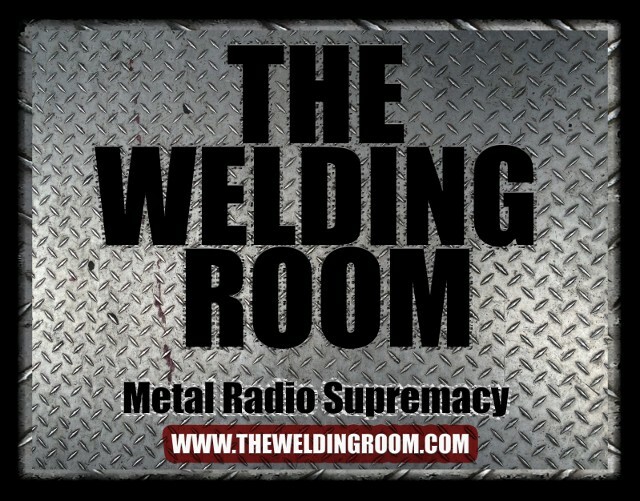 Check out the first track, “Madness at the Core of Time” on The Welding Room & pre-order your copy of Battle Maximus HERE. GWAR’s Battle Maximus features twelve brand new tracks that not only honor their departed ally, but tells the story of GWAR’s latest struggle against what may be their greatest enemy yet… the insidious “Mr. Perfect”, who has travelled through time itself to steal the power of GWAR — the power of immortality, and use this power to mutate the human race into his twisted vision of what the “perfect” human should be. Once again GWAR finds themselves as the only thing standing between the human race and the latest super-powered shithead bent on the destruction of GWAR and the enslavement of their worshippers. This entry was posted in METAL and tagged Battle Maximus, Flattus Maximus, Gwar, GWAR-B-Q, Hadad, happy death day, inevitability of death, little ditty, meat grinder, Metal Blade Records, nuclear holocaust, Oderus Urungus, Richmond Virginia, tasty morsel. Bookmark the permalink.